Etna Township is an attractive community with a rural atmosphere. It has a growing number of friendly neighborhoods and successful business developments. Etna is located in the southwest corner of Licking County on the fringe of the Columbus urbanized area. 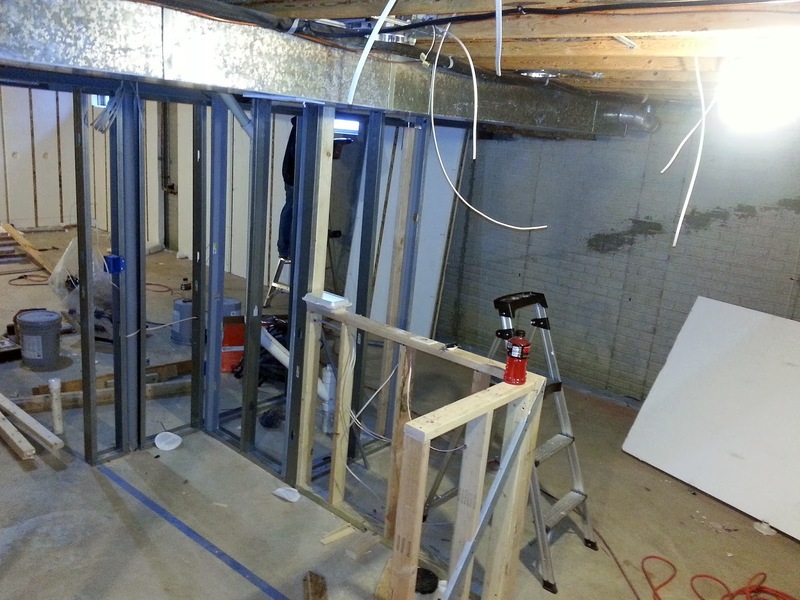 These Etna homeowners were searching for a basement finishing contractor for their home built in 2000, and decided to have The Basement Doctor out for an estimate. Nathan Reed, Project Manager, had a blank canvas to work with in this basement, but it wasn’t without its share of obstacles. The biggest challenge being a 4” plumbing line that was smack dab in the middle of the basement. 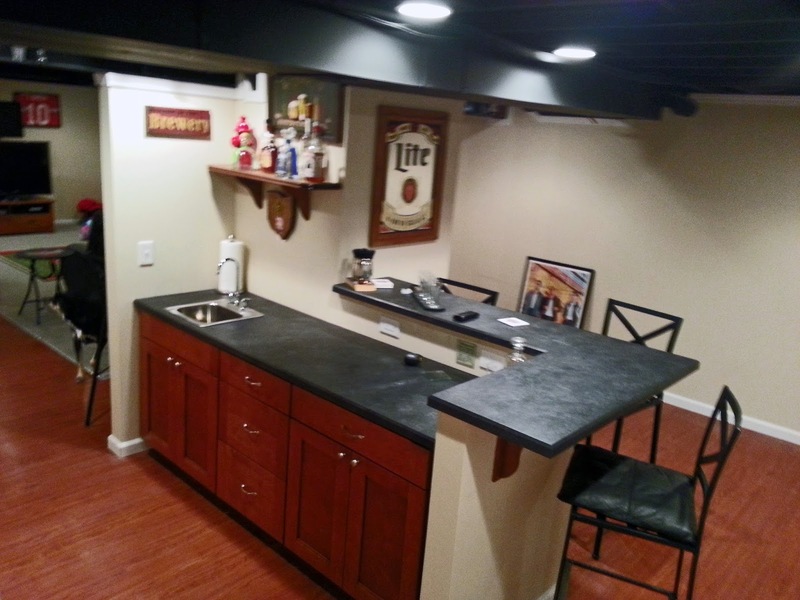 Nathan skillfully designed a plan that would transform this drab basement into a remodel made for TV. The layout included a plumbing closet to conceal the pipe, an L-shaped bar, entertainment and TV area, along with a half bathroom. 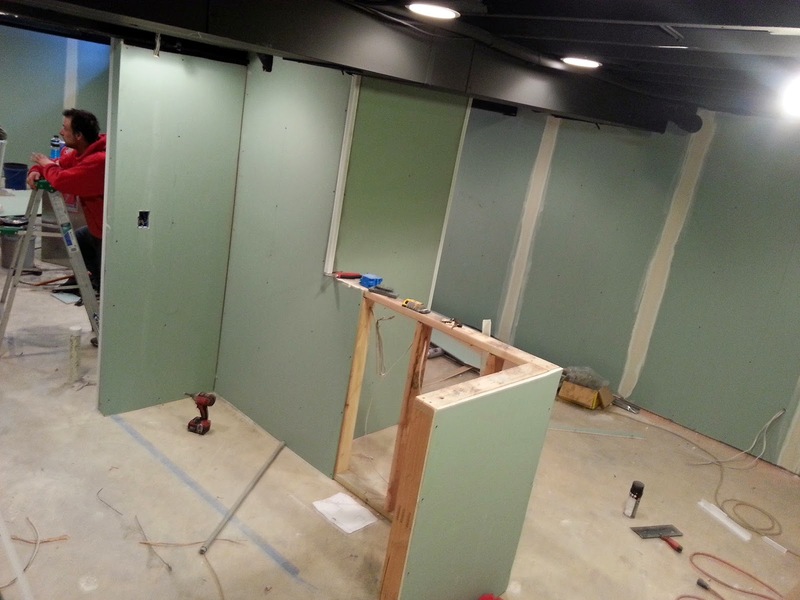 This basement’s poured concrete walls are now framed and insulated using metal studs and our Magic Wall basement finishing system. The homeowner selected our blackout ceiling due to the cost, space savings and overall appearance in the basement. This is by far our favorite ceiling treatment, although we offer drop ceiling tiles and drywall as well. Almost 90% of this basement finishing project was completed in just two weeks, with only some detail work spanning past that time-frame as we waited on additional building materials. Once everything was in place, the entire finished basement was decked out with Ohio State Buckeye swag. Now these homeowners have a comfortable and stylish space to entertain their friends and family, as well as host some big game parties in the future.